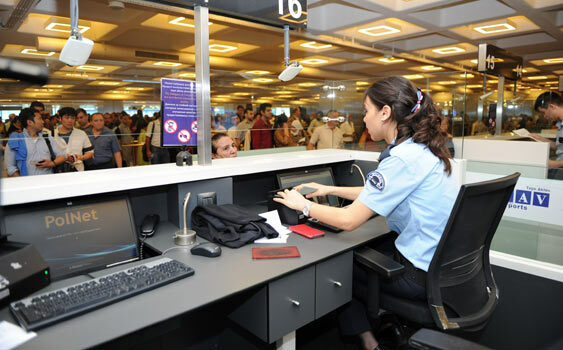 Turkish police have seized 4,806 passports and detained 132 people at İstanbul Atatürk Airport as part of investigations into alleged followers of the Gülen movement, which is accused by the Turkish government of organizing a failed coup attempt last July, the pro-government Sabah daily reported on Monday. According to the report, additional measures were taken at the border to prevent the escape of suspected Gülenists, who deny having any role in the failed coup. The Turkish government has also been attempting to confiscate over 50,000 passports including those held by the relatives of journalists living in exile. On June 1, the Turkish government revoked the passport of Levent Tüzel, a former pro-Kurdish Peoples’ Democratic Party (HDP) deputy and Central Executive Board member of the leftist Labor Party (EMEP). Recently, Oklahoma City Thunder center Enes Kanter’s passport was seized by Romanian police at Henri Coanda Airport upon a request from the Turkish government due to his links to the Gülen movement. On Sept. 5 the government banned Dilek Dündar, wife of former Editor-in-Chief of the Cumhuriyet daily Can Dündar, from travelling abroad after seizing her passport at an İstanbul airport. Similarly on Oct. 5 the government banned journalists Ayşe Yıldırım and Celal Başlangıç from travelling abroad after seizing their passports, also at an airport in İstanbul. The seizure of passports started overseas in early 2016. In June of that year the passport of Nevin İpek, Koza İpek Holding CEO Akın İpek’s wife, was cancelled after it was allegedly reported lost by someone other than herself. On Sept. 28 the passport of former Today’s Zaman reporter Arslan Ayan was confiscated by officials at the Turkish Consulate General in New York City on the grounds that a warrant for his detention was outstanding back in Turkey. Last year, Belgian police returned the passport of a Turkish citizen since the cancellation of passports by the Turkish government after a July 15 failed coup in Turkey was considered unlawful. Similarly in April, Romanian police returned the passport of Soner Cesur, a Turkish businessman with investments in Romania, which they seized on March 25 upon a demand made by the Turkish government.